…Or you can call this Dinner L’Orange. You will be doing your small part in eating the rainbow. Great with salad etc. Grease up pan with olive oil. 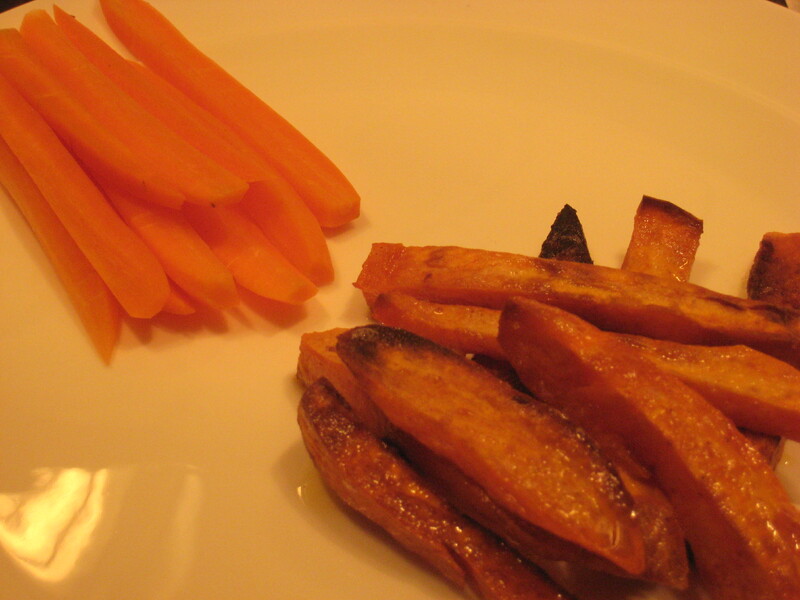 Peel and cut sweet potato into strips. Add to pan and sprinkle with a few pats of butter. Brush on olive oil and sprinkle with salt. Roast for @ 25 minutes flip once while cooking. Serve with carrots.